We carved our first pumpkin today. We took the opportunity to get some pics of AC in her Halloween costume. We've been asked by the neighborhood not to let our baby be this cute, but we just can't help it! 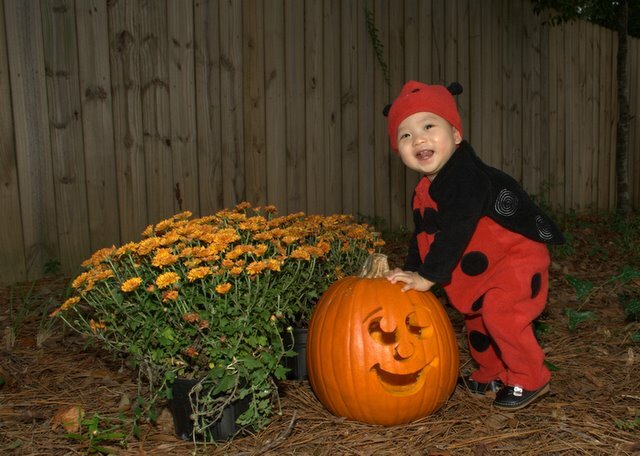 To see more Halloween pictures, go to our Flickr site. Just for fun I google'd my new daughters name, Addison Claire, and I was sent to your site! My little angel was born 4-4-03, and I'm proud that she shares a name with such a darling little girl!